The Indiana Bureau of Motor Vehicles (BMV) now allows you to make certain appointments ahead of time, meaning you'll spend less time waiting in line and more time enjoying all the Hoosier State has to offer. This guide will outline the types of appointments you can make, how to go about scheduling them, and what you'll need to bring to the BMV. 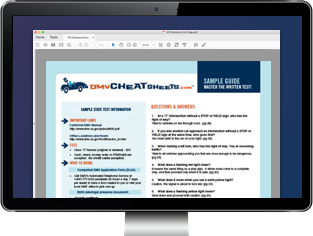 You should also keep in mind that the state offers a variety of time-saving online services, which could save you a trip to the BMV altogether. Changes (e.g. name, address, etc.). IN registrations for up to 3 vehicles. You can use the IN Bureau of Motor Vehicles' online scheduling system to make and cancel all the appointment types listed above, EXCEPT for road tests. Online reservations can only be made up to 6 months in advance. The BMV allows you to schedule appointments for Tuesday through Friday with morning and afternoon appointments. Call the BMV Contact Center at (888) 692-6841. Finally, to make an appointment for your CDL road skills test, you'll need to call an approved, third-party tester to set up your exam date.